In honour of this year’s International Women’s Day campaigners and psychologists are speaking out about the many forgotten female scientists of the past, and those from oppressed ethnic groups. Only in recent times have we begun to truly recognise the women from history who were instrumental in shaping the face of science as we know it today; among them Rosalind Franklin, whose work was instrumental in discovering DNA, and the many black women who worked as mathematicians for NASA. Throughout this week Professor Sarah-Jayne Blakemore (University College London) has been tweeting about inspirational women including Emmanuelle Charpentier and Jennifer Doudna who developed CRISPR-Cas9 genome editing. We also spoke to Professor Uta Frith (UCL) who said one of her science heroes was Alice Lee (1859–1939), a forgotten woman who questioned one of the most pervasive myths of brain science. When at conferences watching talks by important scientists Bastian suggested taking a photo of them to upload to Flickr or Wikimedia Commons – this can then be used on Wikipedia. Alternatively, she suggested, contact the scientist themselves, or their family member, for a photograph. Bastian also suggested, for those with a little more time, to contact universities for further information, photos and biographies of scientists. Similarly one could look through publications within a particular science literature for obituaries and biographies of scientists. Read Bastian's blog post for even more brilliant tips on how to make Wikipedia, and social history, more inclusive. 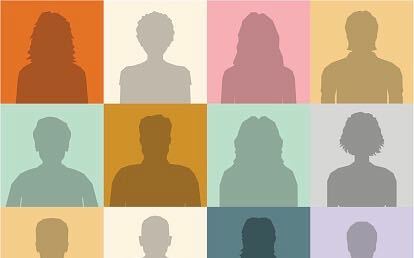 - Here at The Psychologist we would love to hear any suggestions you might have for forgotten women within psychology, as well as those who have been forgotten due to their ethnic background or any other reason. Leave your comments below (British Psychological Society members only), email the editor on [email protected] or tweet @psychmag. Editor’s note: Every International Women’s Day I get rather emotional thinking about just how many truly phenomenal women there are working in psychology. I often tweet links to articles by them or interviews with them from our archive, but there are just so many! I would encourage you to simply explore our website, there’s nearly 30 years’ worth of material, more than 350 issues, and so many incredible women. In particular, see 'Women scientists in psychology' and 'Women in early 20th century experimental psychology'. I would, however, like to pay personal tribute to some of the inspirational women who have had a particular impact on me over the years. No doubt I have missed some off, and I’m sorry about that, but this list is a pretty good start: I can imagine nothing better than spending an evening in a room in a pub filled with these women. So thank you to Catherine Loveday, Uta Frith, Harriet Gross, Asifa Majid, Liz Stokoe, Francesca Happe, Sarah-Jayne Blakemore, Essi Viding, Sophie Scott, Dorothy Bishop, Vicki Bruce, Kate Cavanagh, Beth Loftus, Fleur-Michelle Coiffait, Maddi Pownall, Tanya Byron, Nancy Doyle, Aleks Krotoski, Kate Johnstone, Sally Marlow, Claudia Hammond, Dorothy Miell, Catriona Morrison, Liz Meins, Sian Williams, Gail Kinman, Erica Burman, Kavita Vedhara and Michelle Ryan.